Barcelona sporting director Ariedo Braida has confirmed the club are interested in signing Juventus midfielder Paul Pogba, with the Catalan giants having held talks with the Serie A side's general director Giuseppe Marotta. Since leaving Manchester United, where first-team opportunities were limited, in 2012, Pogba has become one of the hottest prospects in world football and has been linked with a return to the Premier League club, along with a potential move to Ligue 1 giants Paris Saint Germain. Now Barcelona have joined the race to sign Pogba, valued at upwards of £60million, if he were to leave Juventus, with Braida admitting he has held discussions with his 'friend' Marotta. 'We like Pogba, we like him a lot. But that's needless to say. 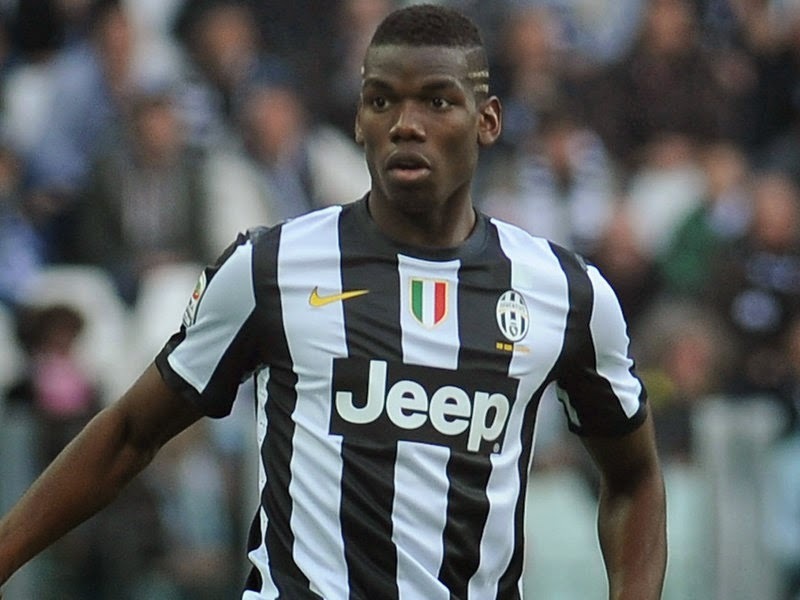 All the big clubs like a champion such as Pogba,' Braida told Tuttosport. 'Marotta is a friend of mine and we talk about a lot of things. We have also discussed Pogba. 'He is still young, but already shows things of the highest level. It would be a hugely important operation for Barcelona, a very interesting one. 'Our situation is complicated, though. We can not register any new players until 2016 because of the Fifa sanction. 'It could be an option to agree terms for a transfer in 2016. That's one of the potential options. 'It also depends on what Luis Enrique and what the board at Barcelona want. I am waiting for the green light from the club. Until then, I am working on it and sowing the seeds.